My degrees in commerce and psychology fit the recruitment piece really well in terms of commercial knowledge and acumen married with the science of understanding people. 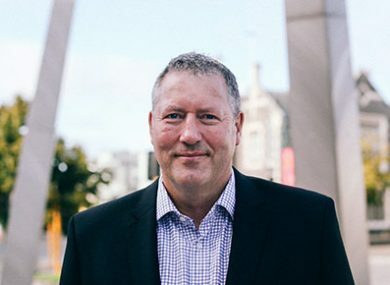 This is backed up with a strong career in business management and recruitment, based both in New Zealand and internationally, helping to place me squarely in the shoes of the clients I deal with in terms of managing staff, operations, sales, and performance. I’ve always had a strong interest in the HR component within the management roles I’ve had. Coming into Brannigans was a natural progression. I’ve been here since the start of 2014 and since arriving have made numerous executive placements across a number of industries and commercial sectors, within NZ and abroad, placing good people into key leadership roles. I have gained much personal satisfaction from providing clients with confidence they have the right people to meet their organisational requirements. The next step is for continued relationships, building on the connections and friendships made during the process, which is also very rewarding. Brannigans has a positive and open autonomous working environment. The owners work directly in the business, leading the way, and providing good direction and support. It’s a really supportive environment right throughout the team. There are a lot of positive cross-overs which provides an overall superior service. We are all very customer focused and results orientated. We’re very responsive to clients’ and candidates’ needs, offering added value through our excellent local business knowledge and skills. From a personal perspective, it’s the satisfaction of getting the right person into the right job, seeing the clients go from a position where there’s a vacancy, to finding the right person who will deliver them a positive result. Every day is different, there are always new projects coming on – it’s very dynamic and to provide good results you have to be responsive, work smartly and quickly, with purpose. I have a young family, so pretty much all my spare time is spent with them and catching up with extended family and friends. I’ve always loved a wide variety of sports and enjoyed playing rugby for several decades at various levels. I also enjoy getting out on the golf course when time permits, but really family is key, and when I’m not here, I’m there!